For additional information about this book, visit the website coachtempleton.com. 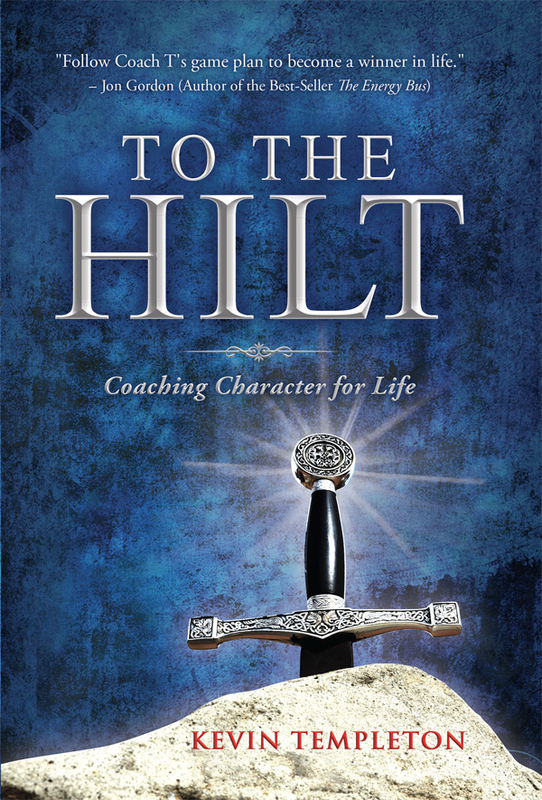 In To the Hilt, author Kevin Templeton provides young readers with a comprehensive yet easy to follow guide that contains many valuable lessons that can be used to help build a strong character and foundation for a successful and fulfilling life. Bringing the accumulated wisdom from his many years of coaching and speaking to teens and young adults to the page, readers will understand the importance of decision making and trying to make good choices, accepting responsibility and consequences for bad choices, developing a strong work ethic, the value of education, and most of all of keeping God as a priority at all times. With an engaging, inspirational and entertaining narrative, To the Hilt is a must-have resource for today’s youth to show them that if the right tools are applied, they can truly be the best version of themselves both now and in the future. “Whether you are a parent, teacher, coach, mentor, pastor, or administrator, you are continually teaching lessons. Kevin Templeton has written a splendid resource for all of us. Use it, and you will be a difference-maker." "Kevin Templeton's dynamic lessons emphasize personal responsibility, work ethic and attitude. Follow Coach T's game plan to become a winner in life. This is a valuable book for people of all ages." “Coach T’s thoughts have helped to keep my mind and heart on the things that truly matter. They have also motivated me to lead with my heart as a coach, father and husband and to love and serve the ones I lead everyday! "Kevin has through great illustrations and a timely message captivated the essence of Philippians 3:14, 'I press on toward the goal for the prize of the upward call of God in Christ Jesus (ESV).' May we all strive to be champions for Jesus to the hilt!" "Few books really have the potential to change lives, but this book has the potential to change the world. To the Hilt!" Kevin Templeton (Coach T.) has dedicated thirty- five years to working with high school and college- age young people in both the classroom and as a coach. Coach T. has coached basketball, baseball, and golf, and his teams have won numerous championships, including the 2003 NCCAA national basketball title. His experiences as well as his passion for kids and athletics have given him unique insight into what it takes to succeed on the court and in life. His use of humor and storytelling in this compilation of life lessons has become the core of his classroom leadership curriculum and focuses on character, choices, and friendships. Coach T. is a character development coach and motivational speaker for high school students, college-age students, and athletic teams, providing seminars and even pregame speeches. He believes that telling a story is the best way to move a person’s heart. Nobody tells a story like Coach T.